Place the slices of bread on a toaster and toast until one side is golden brown. Spread the untoasted side of each slice with cheese spread. 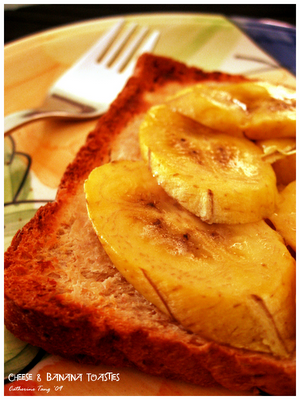 Slice the bananas and arrange the slices on top of the cheese, then drizzle each slice with 1tsp of the clear honey. Toast again for a few more minutes. Serve immediately. ur breakfast is alwiz so yummy!! !